Last week, I got to do something few people are given the opportunity to do. 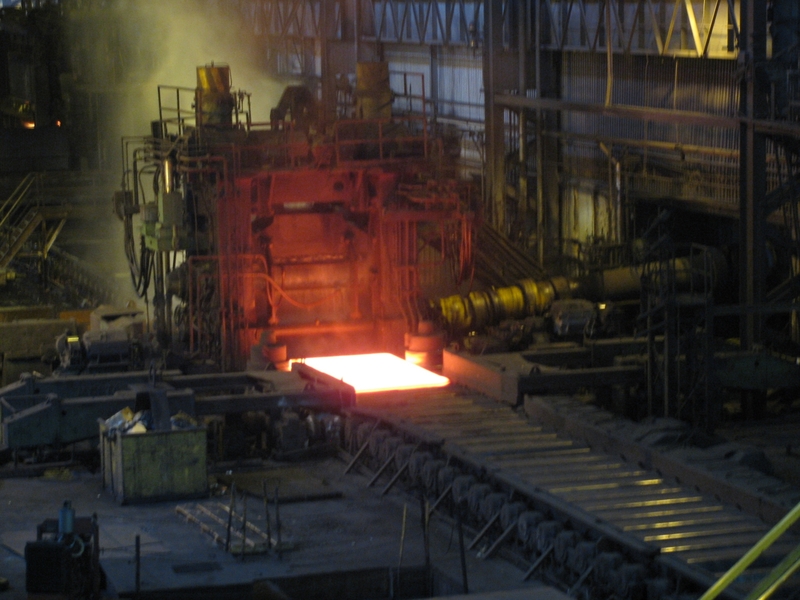 I got to see the guts of a steel plant up close and personal! Our friends at ArcelorMittal provided us with a guided tour of the international corporation’s Conshohocken facility – just down river from our own organization. 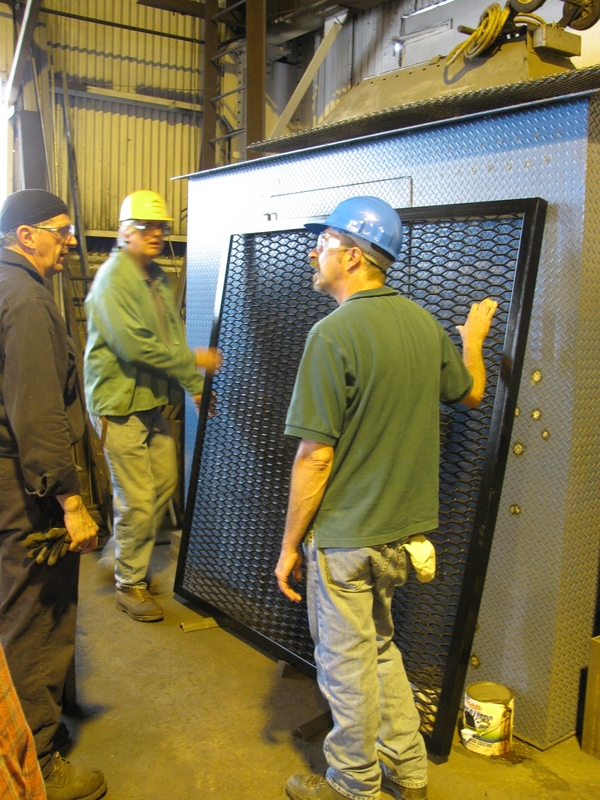 I was there with two similarly giddy co-workers, our Director of Land & Facilities and his Assistant, to pick up a custom machined well cover from the plant’s fabrication shop. What in the world, you ask, does ArcelorMittal and the international steel industry have to do with the Schuylkill Center? As it turns out, an awful lot! ArcelorMittal has been a recent, loyal donor of ours. As part of its commitment to supporting conservation and environmental education in operating communities like Conshohocken, it has donated over $12,000 in grants to us in the last two years. What’s more: local employees at the plant have also contributed their time at volunteer Land Restoration events, which they’ve attended with their children and grandchildren! 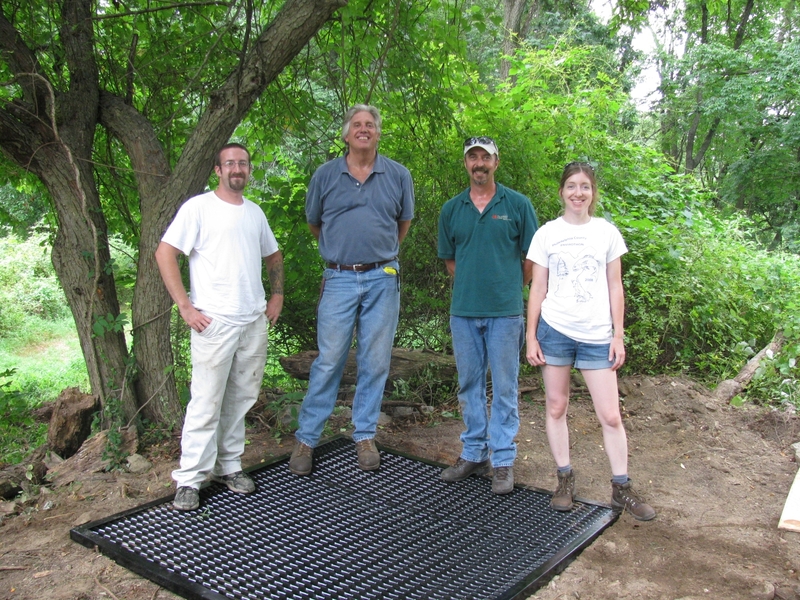 Last week, ArcelorMittal responded to our need for a cover for an old, 19thcentury well on our property in just a day’s time! (For those unfamiliar, we have lots of reminders of the land’s early history still peppering the woods. Some are old wells, some are the ruins of barns, buildings, and pump houses designed to bring water up to farms that used to dot Ridge Road. (That’s right!)) Yesterday, we were able to safely cover the well through a generous in-kind contribution orchestrated by Ian Mair, the plant’s Environmental Manager, and Lee, a Fabricator who made the grate. Lee explains how he fabricated the well cover. Water cools Steel Plate heated to over 1,000 degrees. We also saw the inspection floor, where the steel is painted for use by the military and industry, and the yard where steel coil is set to cool for three days after being tempered. In a word: it was awesome. The visit made me realize, like most relationship-building moments, why our mission is so important to our stakeholders like ArcelorMittal – and why it’s vital to support Environmental Education in general. On our field trip, I learned not just about the unique material properties of steel (sometimes it’s magnetized, sometimes it’s not), but also about the ways that the plant uses and works to save energy, as well as precious water. Like many other corporations, ArcelorMittal works to model sustainable practices in a resource-intensive, but also necessary, industry. 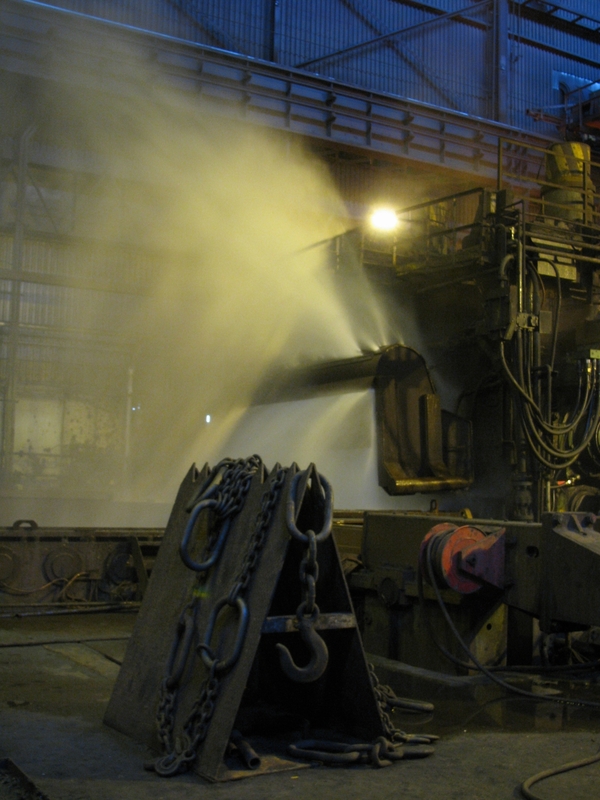 Water used in the process of making steel undergoes a rigorous purification and filtration process that exceeds industry requirements and re-uses the resource. The steel sludge filtered from water used in the tempering process is an asphalt extender. Utilizing natural resources with minimal environmental impact is both necessary and challenging. And the ability to do both is predicated on a student’s ability to first grasp basic scientific concepts – the kind we begin to touch upon when we discuss water ecology at the Schuylkill Center, for example. We happen to undertake those investigations in unimpaired streams that feed the Schuylkill River – the same big blue ribbon of water that ArcelorMittal calls home. The employees at ArcelorMittal understand this. It’s why they choose to support our work. We’re connected through philanthropy, but also through an understanding that it takes exposure to new ideas and experiences in nature to put a child on the path of caring for the environment – or a career in a STEM field that also works to protect the environment. They value the resource we protect: the largest remaining privately owned open space in Philadelphia. If you or someone you know wants to make a difference, come visit us! We’ve got a couple of ways you could help. We won’t be able to show you how steel is made, but we can show you the end product sitting on top of our historic stone well – and we’ve got some young minds we’re intent on forging, too. A very special thanks to our friends at ArcelorMittal! Mike, Ian, Sean, and Joanne stand safely atop the well.